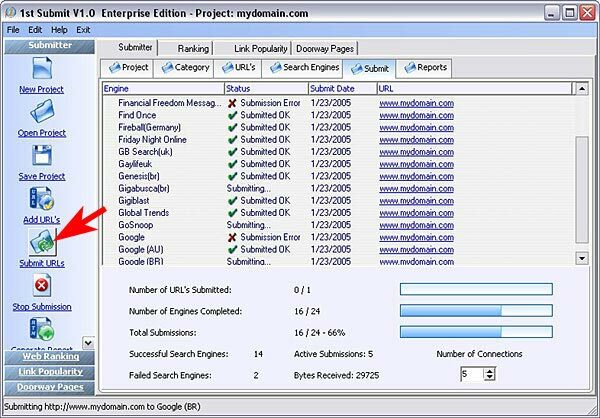 1st Submit Search Engine Submission & Optimization tool that will help you on search engine promotion. Auto submits your website to over 1000 search engines, boost your Website traffic and maximize your Search Engine Rankings. 1st Submit has a Build-In Web Ranking tool to check your web position on all major search engines, HTML doorway page generator, Link Popularity check & Keyword suggestion tool to help you to generate relevant keywords for your website. If you don't have a top 10 search engine position, 1st Submit will get you one!